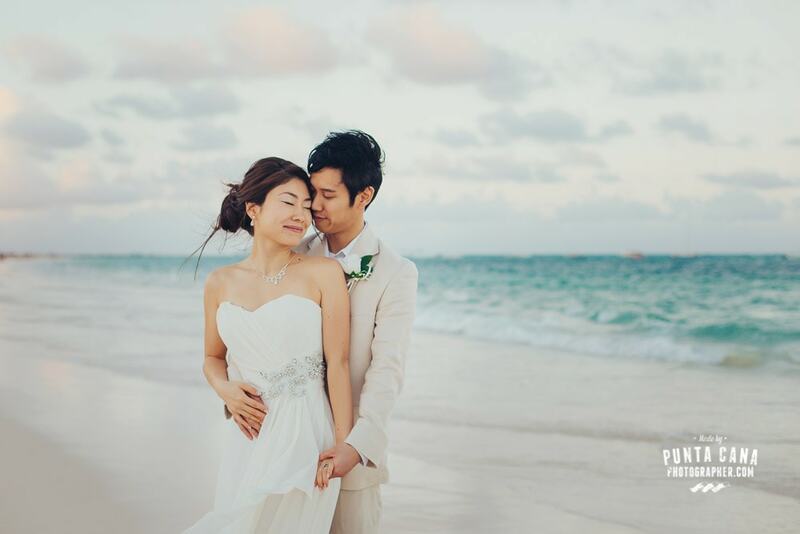 Traveling anywhere is exciting, but traveling to tropical Punta Cana has a special kind of thrill that only comes when you are going to the location of your destination wedding! There are a lot of things to keep in mind when planning your wedding (e.g. dress, flowers, meals, guests, music, destination, and honeymoon). Something that may have not occurred to you is planning on traveling with your dress and essentials! We would hate for you to risk damaging your dress, or losing it on the plane. With this in mind, we have compiled a list of tips to aid you as you travel to your destination wedding location. 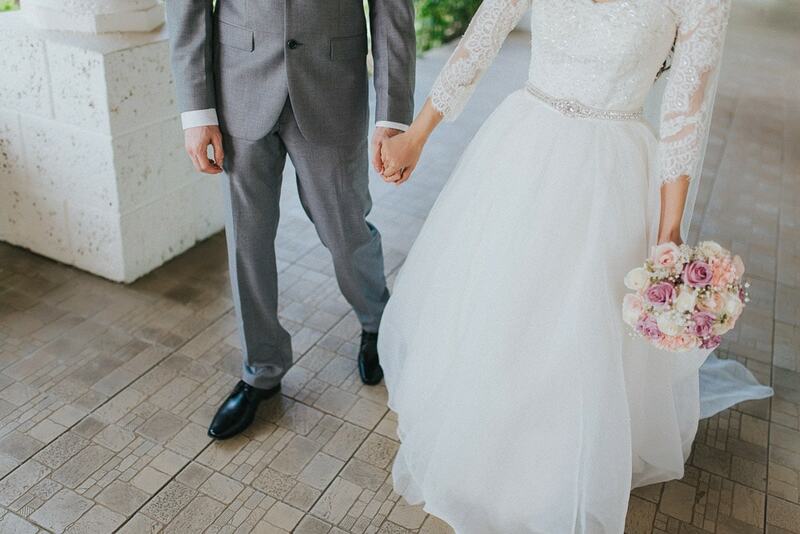 If you are flying to your destination wedding location, as will likely be the case if you are traveling from the United States to Punta Cana, then you might consider flying first class or priority boarding. Being able to board first means you are more likely to find space in the closet on the plane. With that being said, we highly recommend having your wedding gown be a carry on; few things are worse than losing your luggage. Especially when your luggage contains your beloved gown! With your dress in the closet, you can rest assured that it will be safe from harm and out of reach of other passengers. If there isn’t any room in the closet, you could always fold it in half and store it in the compartment above your seat. Folding it in half, rather than squishing it into the compartment, will reduce the chance of wrinkling. When packing your wedding gown for travel, it is best to keep it in the travel bag so as to reduce the likelihood of wrinkles on your dress. Sure, folding it will cause a couple of fold lines, but a couple of fold lines are better than a wrinkled mess. Something you might consider is bringing your own steamer so that you can steam out the wrinkles in your dress. Sometimes hotels have steamers that you can borrow or they have a laundry service where they can do it for you. Always make sure that you test out your steamer before you use it on your dress! Again, be sure to have your dress as a carry-on item! Losing your luggage would be an utter nightmare if the dress were lost too! Be sure to check with your airline company and confirm their policy for wedding dress carry-ons. Maybe even read reviews from brides who have traveled with their dresses and see if they have any personal tips on making the trip smoother. We recommend bringing some of your makeup with you on your trip. Just be careful that you do not carry much makeup in liquid form. Check the amount of liquids that are allowed on the plane, usually the product cannot be bigger than 100ml or 3oz. We would hate for you to run into problems while having your baggage checked. If in doubt, leave it. 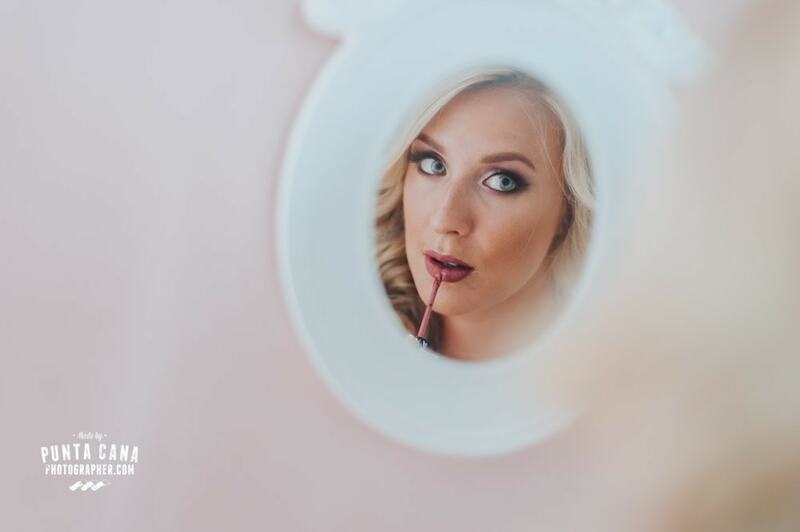 There are plenty of stores in Punta Cana that sell makeup and whether you hired a makeup artist or you are having your makeup done at the Spa of the resort, they will have evrything you will need. With the exception of curling irons and flat irons, it is probably best to leave your hair products at home (e.g. moose, hairspray, dry shampoo), these things are expensive and it would be really frustrating if the TSA tossed them into the trash because they were deemed dangerous. Also, it is doubtful you would bring the necessary amount for your wedding and honeymoon. These things can be bought here in the D.R. as well. Skin products, same as makeup. Only bring the minimum, and if you doubt the amount, check with your airline. We are so excited for you! We know that this is a special time for you and that it comes with its own unique challenges. We hope that our tips have helped you gain some perspective. Remember that when it comes to traveling, less is more. You will likely bring some souvenirs back with you, so the less you bring, the more room you will have in your suitcases for memorabilia. Also, the less you have to keep track of, the less stress you will be under.